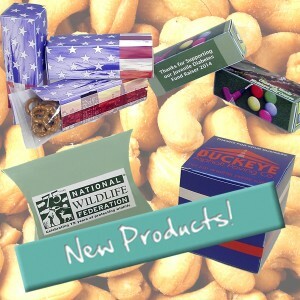 Sweet Nut Tree is a leading supplier of quality food gifts selling exclusively to the Promotional Products Industry. We offer the freshest and tastiest selections of Roasted Nuts, Gourmet Popcorn, Chocolates, Candy, and Baked Goods. Choose from eye-catching custom and stock packaging including Unique Wooden Collectables, Gift Tins, Gift Bags, Gift Boxes, Canvas Totes, and Glass Jars. Sweet Nut Tree – Delicious gifts since 1988. ...for any season! ...for any reason!